First you need to get your head around the fact that you’re going to swallow bacteria in a capsule AND that these bacteria are going to be GOOD for you. Then you need a degree in microbiology to interpret the labels of all the probiotic supplements claiming that their bacteria are the best. But what do these bacteria in probiotics and fermented foods actually do once they’re in your tummy? Are there some species of bacteria that are best for you? Or ones to avoid? And do you really need probiotic supplements? Recent research has revealed some interesting things about probiotic supplements and it turns out that they don’t do what we thought they did – probiotics ‘supplements don’t actually live happily ever after in your digestive tract. Spoiler: what they really do is even better and more exciting than we thought. To understand the benefits of probiotics it’s helpful to have some understanding of the trillions of microbes that make their home in your intestines – your gut microbiome. Have you heard about the gut microbiome? It’s one of the most hotly researched areas of health at moment. We’re talking seriously hot – one study published every hour hot! That’s an awful lot of interest in the critters that live in your gut. You’ve probably seen some of the headlines in the news or shared on social media about gut bacteria being linked to depression, auto immune disease, weight and healthy skin. Recent research is helping to shed light on what naturopaths have been saying for years – your health stops and starts in your gut. Looking at this research helps us to understand how focusing on improving the health of your gut with detoxes, antimicrobial herbs, probiotics and fermented foods can help you overcome many health problems including achieving clearer and healthier skin. Your gut microbiome is the complex mix of thousands of different species of bacteria, viruses and yeasts living in your digestive tract. Competition is fierce for prime real estate in your gut and diversity in these microbes is the key to your good health. Food, lifestyle, drugs and medication can all effect the diversity of your gut microbiome – for better and for worse. The health and function of the critters that make up your gut microbiome is so intimately linked to your own health that it’s useful to think of your gut microbiome as an organ, like your liver, heart and kidneys. Is there a perfect gut microbiome? There’s a lot of talk and research about how the bugs in your gut influence your health and happiness and if you’ve been paying attention you’re probably wondering what the perfect microbiome is and how you can achieve it. To cut a very long story short, researchers haven’t identified the ideal microbiome. Our paleo ancestors and hunter gatherers are often held up as the yardstick of a healthy microbiome – but there is no consistent microbiome shared amongst these groups that is the ideal one size fits all ideal microbiome. 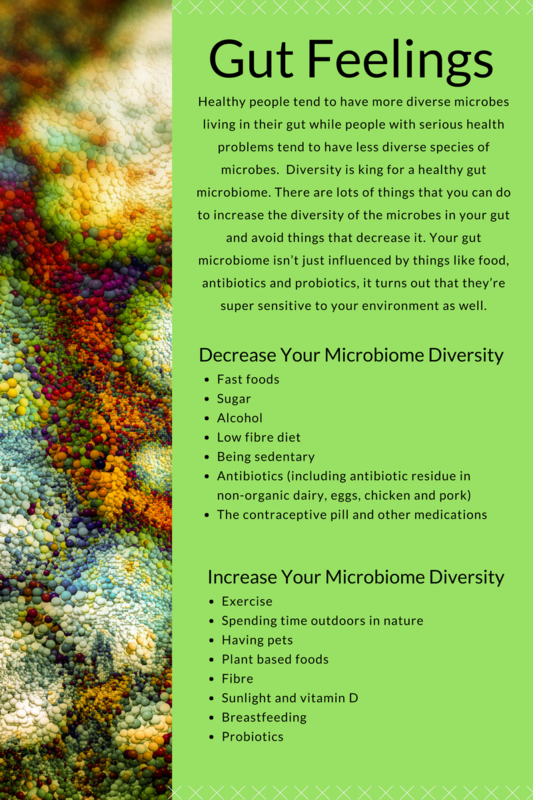 The only consistent feature discovered is that diversity appears to be extremely important for a healthy microbiome a larger variety of bacterial species confers the most benefits to your health. Reduced diversity in bacteria has been linked to obesity, insulin resistance, inflammation and bowel disease. Antibiotics are the single most destructive influence on the diversity of the bugs in your gut. Thankfully we now have probiotics designed specifically to taking during and after antibiotic treatment to maintain or rebuild diversity. Other medications (such as the contraceptive pill), a modern diet and lifestyle all reduce the diversity of microbes in your gut too. Whilst researchers haven’t been able to pin point an ideal microbiome for optimal health, they have highlighted the importance of diversity. Think of your gut microbiome as a bit like a botanical gardens. Gardens that are full of weeds with just a few different species of flowers, shrubs and trees would be pretty boring to visit and spend time in compared to one that was well tended and filled with plants and flowers of all shapes and sizes. You can start improving the diversity of your gut microbiome right now by eating more plant based foods, getting more exercise, spending time in nature and out in the sun. Your gut microbes aren’t just effected by the food you eat, your lifestyle can also influence them. It turns out that we’ve all been taking probiotics for the wrong reasons. 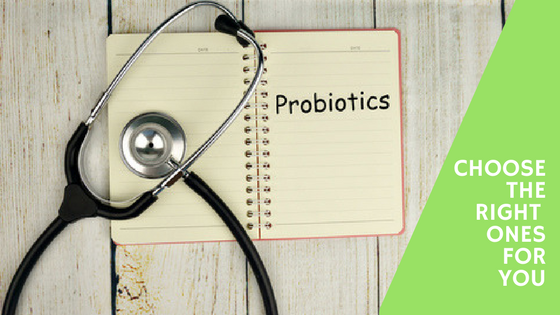 We used to think that taking probiotic supplements containing Acidophilus and Bifidobacteria could replace levels of these beneficial bacteria in our intestines. But the very latest research on probiotics and fermented foods has revealed that this belief is wrong and that probiotic supplements function more like personal trainers than a packet of seeds. We used to believe that probiotic bacteria in supplements and fermented food would live happily ever after in your gut and this resulted in the commonly held perception that supplements with more probiotic bacteria in them were better. We now know that probiotics won’t set up home in your gut, instead these living organisms have all sorts of wonderful beneficial effects as they pass through – like travelling personal trainers! 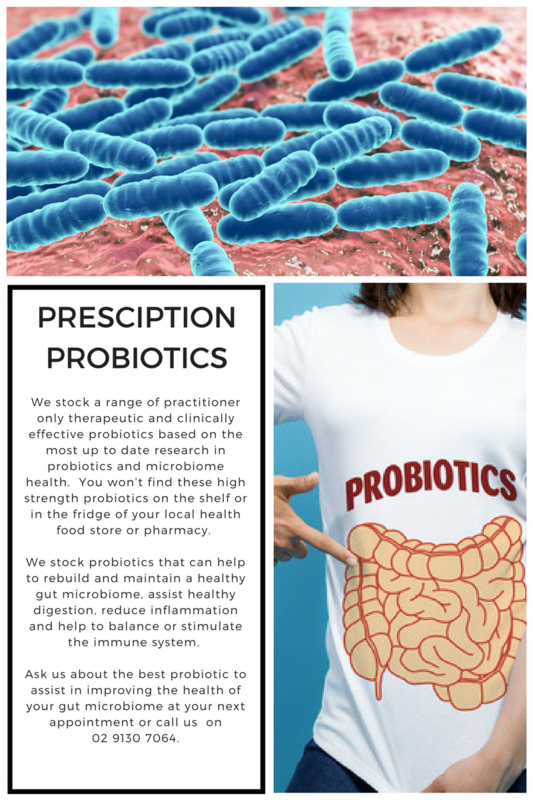 Different species of probiotic bacteria have their own specific effects upon the microbes, immune system, cells and functions in your digestive tract as they move through. This has seen a move towards more specific and targeted probiotics depending upon your symptoms or health concerns. More is not better when it comes to probiotics, instead it’s a case of choosing the right strain for the right job. Bifidobacterium animalis ssp lactis BB-12 is a superhero at helping to modulate, restore and support your gut microbiome and prevent the growth of ‘bad bugs’. It can be taken at the same time as antibiotics to prevent and minimise antibiotic devastation of your microbiome and has an impressive 300+ scientific publications under its belt, including 130 clinical studies. Saccharomyces boulardii is a therapeutic yeast that is a veritable magic mushroom, helping your gut recover quickly from antibiotics. Antibiotics are the single most destructive factor for your gut microbiome. Thank goodness we have such effective probiotics that can undo the damage they cause to the bacteria in your digestive tract. Lactobacillus rhamnosus (LGG) bacteria is one of the worlds most researched strains of bacteria and helps to promote the growth and function of many of the core and most important species of bacteria in your microbiome. Lactobacillus plantarum 299V helps to relieve the symptoms of IBS such as pain, bloating, diarrhoea and constipation. It has an anti-inflammatory effect and helps to protect against pathogens such as E coli and Listeria. In part two of Love Your Guts we’ll be exploring ways to feed and nourish your gut microbiome and how to press ‘reset’ on your microbes. We’ll also cover why ‘bad bugs’ are so, well, bad! Subscribe to our newsletter to have part two delivered to your email inbox.